This is the Mocha Java Blend brought to you by Equator Coffees & Teas. The Mocha Java blend name comes from two of the original ports where coffee was traded: the port of Mocha in Yemen and the port of Java in the Indonesian archipelago. The coffees from Ethiopia and Indonesia creates a cup with dynamic and complex flavors of aged cedar, deep fruit, bittersweet chocolate and spice. One of the best cups I've ever had. It’s a solid cup of coffee, but not my favorite. good, a little too much for my taste. This blend is solid for my taste buds. It's smooth and something I could drink everyday. If the mocha flavor was bolder this would be 5 stars for me. Aroma was just right. But the taste was kind of flat. We also like this blend a lot. The coffee was strong and not bitter, with a good feel. The roast was dark as well. Rich flavor. Can really taste the chocolate notes. Nice medium roast. Outstanding! One of the best I've had. This was ok. Not great. Found ourselves waiting for this bag to finish so we could try another variety. Liked it, but not among my favorites. I was initially hesitant about the two blends in this sampler, but then got a little interested in seeing how it would taste on my v60--I usually just throw a blend on the auto-drip. The blend wasn't bad, but definitely not as "fun" as many single origins I'll have on a pour over. But glad I finally got to toss a blend into the filter and pour some h2o over it! Medium body, big flavor. Toasty, nutty, and great flavor with a little bit of acidity. Good coffee, but probably not ideal for rich bold french press. I have never had a chocolately light roast coffee before but I enjoyed it! I enjoyed this, was nice and smooth. A bit bitter with that woodsy taste, but very drinkable. A bit underwhelming. Maybe my expectations were too high or maybe I have not correctly stated my preferences. This teetered on the line between too "dark" and good for me. I really didn't like it. Tasted almost like a dark roast. My husband loves it. But it's my fault because I requested this coffee. Typically love this roaster. Very nice taste. Smooth with no aftertaste. I thought this was my favorite sample that I received , it had a good taste. I may have brewed it a bit too strong, but this was interesting and complex, if I were making coffee ice cream I'd use this. It may have been a bit too bitter. Not a fan. Thin and bland. Full and complex, earthy flavors . Thumbs up! Dark and heavy. Packed a punch and a small cup gave me a nice evening boost. Not bad, I prefer fruity and juicy accents. Very full mouth feel, but, somehow weak & acidic at the same time. I tried multiple grind settings, but none made it better. Perhaps this was stale. Very good, full taste. I enjoyed the chocolate aspect to it! good but doesn't have the kick i like with coffee. the taste was a bit mild. liked this a lot. brewed in french press, drank it with hot milk no sugar, and also iced. My husband and I received a sample pack of four and this was our top favorite! It's very smooth and a nice medium/dark blend. We usually love dark coffee, but this one was very balanced and had a hint of chocolate! I like the flavors of this coffee. It was a little on the bitter side, could have been smoother, but overall was flavorful and full. Dark. Bold. Smooth. Yet still sweet. Very easy to drink. I was surprised when I tasted the berry sweetness come through. I like this one a lot. Out of the four in this box, this one's the winner! Not as flavorful as I thought it would be. Wood tastes and aromas. Lacks acidity. Loved this one. My favorite thus far. Very smooth and rich! This is my current favorite. The chocolate flavors are just the right amount and the spices blend well with the overall tone of the coffee! Very balanced, not bitter, also darker roast than my typical choice, but pleasantly surprising. Very tasty from both V60 and Aeropress. Fairly high acid for the roast. Really delicious! I liked the Columbia a bit better which is the only reason I gave this a 4-star. Would definitely get this again! I liked this blend, taste. Very tasty coffee, complex from start to finish, a cup that is balanced but not boring, bringing together notes of fruit, woodiness, chocolate, and spice. It's a coffee you want to try again right away. was a little to fruity/bright for my taste...still good though! Really enjoyed the dark complex big flavor. Not a fan of chocolate in my coffee but this wasn't bad. The only thing I don't like more than chocolate in my coffee is spices. Flavor was to complex to enjoy. 3 stars for making a chocolate coffee almost enjoyable. Enjoyable blend. More toward the dark side for my tastes, but still a medium range coffee. Nice flavor , but not rich enough. Definitely getting the full fruit/spice mix that would be good with a fruit Danish and good breakfast coffee. Did not get the bittersweet flavor come across too much was more as an after taste but subtle. Brewed in Chemex this time, will try next cup in French press. delicious. the only flavor note that was missing was nuttiness. the best of the 4. This coffee is a symphony of flavor- smooth and elegant. An instant favorite! Very nicely balanced, and complex. Just the right roast of not too dark, not too light. Drinkable and a good morning coffee. A solid West Coast roaster and this Mocha Java is good but does not exceed. Excellent roast for a press pot. Typical balance of a Moka Java, with the earth and vegetal African coffee flavors being offset by the deeper, richer flavors of the Indonesian coffee. Nicely done. Nice chocolaty flavor with no bitter after taste. Definitely better than the Corsica blend, much more complex and interesting and definitely less bitter. I thought the body was weak. I appreciated the low aciditiy but I didn't feel that the chocolate flavors came through strong enough. I did note, however, that the dark fruit flavors became more pronounced with subsequent sips. No Mocha flavor, just bad coffee. Nice cocoa tones with nutmeg after taste. Really liked this one, at all temperatures throughout the tasting process. It's got a lot of pungent flavors, but still even enough that it's not over top. Would love this to be a regular coffee that I drink. **edit. This is a 5/5. My favorite of the discovery box** Yes. This is a coffee I could drink everyday. Smooth, creamy, a soft sweetness. Brian and I both found this blend to be bitter, almost sour at times. We are not big fans of fruity coffees and I think this may be one of those kinds. I really enjoyed the complexity of this coffee and it's deep notes. It has a nice smoothness to it and a pleasing sweetness with out being "sour" or "bright"
Chocolatey and nutty. Pretty good! I hate the bitter aftertaste of this coffee. Delicious coffee - fruity blueberry notes. Medium roast, smooth body. I prefer a darker roast, so I blend this with italian to get a bit stronger brew. An enjoyable medium roast, very flavorful, but couldn't tell why this would normally be sold at a higher price point than the other coffees in my Discovery Box sampler. Wasn't crazy about it at first but it really grew on me. I like the strong flavor. Really liked it! Great flavor! Not too bold!My favorite so far! Really well balanced. Full bodied. Very very pleasant. Pretty good blend! I like more single origin roasts but this didn't disappoint. This coffee was quite good, suite with some chocolate notes. The hint of nutmeg wasn't as much of a favorite at our house, but we still enjoyed it a lot. It was okay. A little brighter than my preference. I didn't care for the fruity notes, though I did like the chocolatey notes. Smooth and rich. Great coffee for morning or afternoon. The fragrance of chocolate was definitely there during the grind, but wasn't totally present in the brew. It took me a couple tries to dial it in. I would say smoky (in a okay way) chocolate. Not offensive, but not great. Didn't like the flavour, a bit too smokey for my taste. Strong and flavorful. Good cup of coffee. We like this one the best. Good balance. Could be more complex. very smoky. not much chocolate flavor.Not decaf, as ordered so I can't drink it. Bleh! Much to bittersweet chocolate-forward. Nothing interesting on the back end. Very dark, bitter, unsavory. Sorry, I did not like this. Very smooth coffee. Thought it would be a bit dark or chocolately for me but it was smooth and delicate. Great taste but a little on the light side. This was more on the bitter side and had a lot going on! I used about 2 Tbs of beans. OMG this is amazing! I loved the semi-sweet/bitter chocolate flavors. I'm not one for sweet things but this hit the spot! I loved the smooth finish and aftertaste of this blend. I think this is what I am going for with a coffee bean! Like that this is dark but not too dark, really nice spice flavor. I like the blend. Most Ethiopia coffees have a sharp taste. Don't taste a lot of chocolate but a great cup none the less! Solid cup, nice body. Has a bit of a bitter, almost sour flavor that I can't quite put my finger on. It's not bad but it's not great either. This coffee tastes yummy! It's sweet and delicious and I haven't ever had a coffee that tastes like this before. Very favorable. More body than anodyne. Still getting used to using a grinder so I'm placing more fault on my shoulders. Nice chocolate hints, deep flavor. Good, but a bit light for me, although Kathy liked it quite a bit. M-J is one of my favorite coffee blends. This well balanced expression has moderate acids and bitterness and filling mouth feel under notes of nuts and berries. I didn't notice the chocolate flavors that are common in Mocha Java, but I liked it. I loved this coffee. It was rich and smooth. I loved the strong flavor and the after taste. Quite a bit of spice that gives it a lot of character. Bitter chocolate, floral elements. Smooth cup, low-medium mouthfeel, low acidity. Was easy to drink, but aside from some milk chocolate notes, not much to comment on. A great, full bodied coffee. I'd drink it everyday, but the single origins we tried in comparison were better suited for my wife. Finally a good cup of coffee in my 4 pack sample, not bad. This one knocked me right in the face...which is exactly what I'm looking for in a cup of coffee. The chocolate comes across, but not as much as the earthier flavors. Best cup of coffee I have had in a very long time. We prefer a darker blend with stronger acidity. Brewed in a Chemex and V60; was able to note some distinct spice and muted fruit notes. Would probably make a good espresso shot, but I am waiting for delivery of my machine! Very good idea, good blend. Nice. Wasn't impressed with this blend. Quite smooth and balanced cup. Enjoyed wood and chocolate flavors. Good! Had a nice spicy taste to it. Very good. Smooth, but not overly complex to me. Really enjoyed this coffee. Very complex, berry like aftertaste. Had nice mouthfeel and a good, everyday coffee. This medium roast tastes darker than I expected. The notes are more towards dark chocolates and nuts than fruitness. Very low acidity. Better than the Topeca but still wouldn't choose this as it is too light. Mocha Java's are always a gamble. I've had a few other Equator coffees I absolutely enjoyed but this wasn't a success. I tried a few different pour over methods but could not escape the wood notes to in any of the cups. I was hoping for more out of it. Good flavor and smooth finish, but a bit mild for our taste. Still a great cup of coffee, but nothing really stood out for me. If you like normal coffee, you'll probably love this. My subscription just started and this is my favorite cup so far! Way too dark for my preference. The roast level began to overpower the earthyness of the Indonesian and mask the fruitiness of the Ethiopia. The spice notes overwhelmed this and unbalanced the flavor in a way I didn't enjoy much. This one wasn't my favorite either but I still thought It had a good flavor. This one was really good, and I enjoy the light flavor of it. It wasn't too light, but not too dark. This was a solid cup. While not my absolute favorite, I would highly recommend. This was my second favorite, media with nice chocolate note. A decent cup of coffee. I would drink this again but not actively buy it. Weaker coffee and didn't like the after taste. bright starting flavor, then drops off quickly to mellow aftertaste. So-so. This tasted like Keurig coffee. Very disappointing. Full of chocolate and rich! Smooth! Not a bad coffee by any stretch, just not what I would reach for if I had other options. While smooth and rich, it was a little darker and roastier than ideal for me. Did a 22/348 dose on the Kalita Wave in a little over 4 min with water just off boil. Maybe a lower temp would do this one well. Just what we like - dark and rich. Chocolatey a bonus. I don't really like the fruit taste. The Ethiopian sours up what could've been a 5-star Indonesian dark roast. i love mocha! smells and tastes great! This was ok, but not our favorite. It's okay, but maybe not the best. I don't normally get beans from the Sumatra/Java area. I will probably finish what we have, but I would not want this again. Nice a dark, deep flavors-we liked it! Very nice, smooth, dark roast. Was concerned about overwhelming mocha flavor but this is just right. An excellent dark roast. I liked this more than I expected. The Mocha tones were very nice. I had mistakenly reviewed this one as opposed to Corsica. I really enjoyed this coffee, maybe a bit less than Topeca, but it was close! I'm not usually into mocha but this one was inoffensive with the chocolate, and the coffee part was delicious. A little earthier than I prefer, but very bold and flavorful. A little too strong/dark for me. Still good, but I'd prefer something a little lighter with berry or fruit notes mixed in rather than the dark bittersweet chocolate and spices that's in this coffee. Good taste, but not something I would drink daily. Using our Aeropress, this was our favorite cup of coffee to date. It was very smooth and creamy without any lingering aftertaste. We would like to receive more of these types of coffee beans. Excellent excellent coffee. I like Indonesian coffee and this one was a great blend of flavors that were intense but not overpowering. Really liked this one. Like the medium roasts better than light or dark. This was good and very drinkable. Just way too mild for me. Way to dark for me....ROAST IT DEAD! Its a very good "standard" coffee for me, like it tastes like exactly what I want my coffee to taste like, except that I also really enjoy the more unique flavors I got from the Topeca/Anodyne samples. I really like when theres a bit of fruitiness, and this has a little of that, but its more just a really good balanced cup. Nothing wrong with that, I just think I wouldn't want this all the time! Nice flavor! Strong w/o bitterness. I did like this quite a bit, just not as much as the anodyne coffee. This is delicious. A top flavor layer that is complex, spicy, interesting, yet with deep, prune-y and chocolate notes underlying it. Dark enough to stay comforting, but not too dark that its various notes are roasted away and you're left with a flat, burnt taste. Good balance. have had this one a couple times. My wife liked it. I thought it was pretty good, but i ended up just brewing all of the beans from Anodyne first, because I just loved it so much. the cup smelled of cedar, and there was no doubt about that. It wasn't memorable for me, so i can't recall loving or hating it. I give it 4 stars, but probably closer to 3 for me. My favorite of the sample pack. Nice medium roast, chocolatey, hit both notes in a strong dark coffee I like but light enough to have more complexity than a dark roast. Good flavor, not as bold as I prefer. Really good - could go for a coffee with a slightly darker roast, though. Nice aroma, there were multiple tastes but nothing distinctive. Smooth and non bitter. Not as complex as it sounds, but a good cup of coffee. Pretty good, I enjoyed the smoky, bitter sweet chocolate taste this coffee has. I couldn't pick up on any fruit notes in it though. It had a nice full body imo. Along with a lingering smoky aftertaste with is fine with me. This was a nice blend. It was actually slightly lighter tasty than I was anticipating, though. My favorite of the sampler pack.Not as roasty but lots of chocolate and toffee. Great body and finish. Really liked this one! It had a little bit of a burnt taste, but I liked that it seemed a more smooth and didn't seem very acidic. Good balance between fruity and chocolatey. A bit light for my taste, but a decent cup. I expected this coffee to be a little stronger. The flavor is great, but I I drank 2 cups to get me going. Very good. I enjoyed this one much more than anticipated. This may have been my favorite batch from Mistobox so far. Unbelievable flavors, and really enjoyed this. 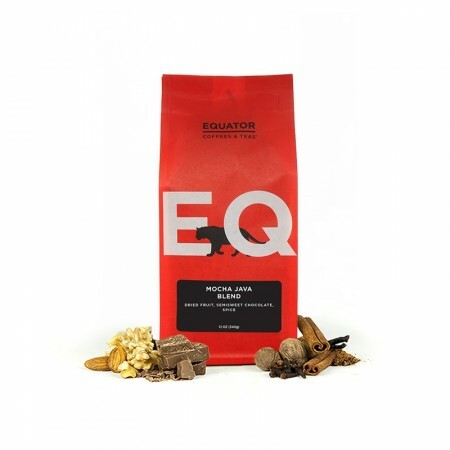 LOVE LOVE LOVE Equator Coffee. This was my favorite of the 4. Nice taste with a smooth finish and great flavor. Ok coffee, just not my roast preference. Perhaps I should try it as a french press. I mainly brew with a chemex. Although this is good, we really don't like mocha flavored coffee in the morning. A really good espresso. Too far on the nutty side for our tastes, but a solid cup nonetheless. Initial aroma was "different" and not entirely pleasing. Flavor was good, but not great. Was good but little harsh on finish. Smoother is better. Great bouquet though. Delicious. Notes were very identifiable, especially bittersweet chocolate. This was a close second to my favorite from the first shipment. Nice dark roast with good smooth flavor. I agree with Victoria, to mild and sweet for my taste . Love it! has lots to taste... not sure I understand all the depth but thats why I like it. Keeps me coming back for more. Very good! Stronger chocolate aroma than flavor. A slightly darker roast than I prefer. Flavors a bit muted/muddy, in my opinion. Medium roast, heavy fruit and spice in a complicated palate, good as a brew coffee but does not stand up well to added flavors. Not suitable for espresso at this roast level. Might be better as a darker roast. Tasty, but too crisped in the roast for my liking. We liked this. Mild and smooth. Blisteringly good dark roast, inky, complex and not shy. Neither dynamic nor complex. Rather, burnt and dead. This blend was too nutty for me. Smooth, rounded flavor, but no real character. Disappointing, because we had high expectations of this one. Too dark and over-roasted for my taste. Tasted and looked kind of muddy. Had a chocolate taste, which I didn't like. Complex and long finish, my favorite of the trial blends. Did not like this one at all.. Way too earthy and bitter for our taste. I was intrigued by this coffee, as I love many Ethiopians, and enjoy natural processed from time to time. In the end though, my distaste for the Indonesians prevailed. I felt like the earthy Indonesian flavors were overpowering, and the Ethiopian flavors just ended up tasting out of place. Not my cup. We really like this one with the chocolatey taste. It's a bit too dark and bold but I enjoy the complex after taste. Was a bit heavy for my taste. Not bad, and perhaps it could have benefitted from a higher water-to-grounds ratio. Enjoyed trying it, but probably wouldn't buy. I really appreciated the mocha java notes to this one. It really brought out my eyes. Just perfect. Drinkable and full of flavor. Normally, I like dark roast from Asia, but this blend is just ok. It's not as great as I expected. The bitterness overwhelmed the complex flavors. Maybe, I have gotten used to pour overs with medium roast and can't enjoy the acidity as well as the darker note of these beans. this coffee was undrinkable. i definitely picked up on the cedar flavor and i'm not a fan. Nice mild flavor, not robust nor acidic. A good coffee to follow a meal. This is a great coffee, I enjoyed its dark coffee taste, it's bittersweet and chocolate taste is great , I liked that it's bittersweet taste is not very strong but medium and in the medium of the bittersweet it has also a tasty acidity. The complexity of the aroma cannot be overstated. Love this blend exotic woods ebony and cedar. Chocolate and smoke of a fruit wood fire. like the flavorfulness. Possible to also get a more heavy roasted-ness to it? Like this a lot but prefer the Peru Cenfrocafe (one can't help but compare, right?). Bitter with a semi-complex taste. Not an everyday coffee but enjoyable. Very strong Chocolate covered cherry. This coffee was Barbara's favorite so far and I enjoyed it immensely as well. I didn't think I would like the nutmeg aspect but it was very smooth and medium body. Not as intense as the dark coffees we tend to like best, but Steve really liked the chocolate flavor and the smoothness. Makes an exceptional espresso; well balanced and smooth. The best out of the discovery box. In general, a chocolaty spicy "sometimes" coffee that's easy to drink. As a PRESS, it's a medium roast with hints of chocolate and spices. Add Milk & Sugar, and the chocolate comes clearly through. As a POUROVER, it taste more like a dark roast (without any oiliness) but you lose all nuances of chocolate and spices; even with a little M&S, you lose the nuances of flavor and it becomes a flat cup of uninteresting coffee. As a COLD BREW, it changes dramatically, and it strangely doesn't taste like coffee; it tastes like something else. And when you add M&S, you find out what: it tastes more like a coffee milk chocolate. And the problem with that is, it doesn't taste like great coffee. As a Cold Brew with M&S, it's a tasty cold drink, but if it's coffee you're after, drink this as a Press with M&S. Didn't get too much of the mocha flavor but still a good coffee. By far the best coffee in the discovery pack I received. Strong hints of chocolate and even balanced nuttiness. Smooth to the last drop! Equally pleased in espresso and drip applications. There originally was a quiz that helped make sure you got the type of coffee you liked and made sure you didnt get what you didn't like, I don't know what happened to that quiz but it seems to be gone and the coffee I received was bitter, very earthy, and not anything special. Considering that the previous type of box, with 4 smaller types of coffee, is gone, it is disappointed to feel obligated to finish a coffee I dont like, who doesn't fit my taste, considering that this is it for my month, and considering how much I paid for it. Not as good as the Peru Cenfrocafe, strangely enough. But definitely worth a second cup haha. This is a good coffee but a it's a bit on the bitter side. Not what I expected. After reading the tasting notes on this blend, I was expecting more. The blend just didn't do it for me. really good, loved the subtle flavors! Has a good flavor with a fruity taste. I enjoyed this one! Really, really tasty. A great later of the day coffee. Nice, but maybe not the flavors we expected. Definitely not a bad cup of coffee. Out of the 2 of 4 coffees in my Discovery box thus far, I prefer this to the La Colombe Corsica blend; still with chocolate notes, but a little less of a smoky finish and without bitter notes. The Ethiopian fruity notes really shine through on this blend - personally, I like my coffees a little less fruity; and am not typically a fan of Ethiopian coffees as such. Overall, I liked this blend, but wouldn't be my go too choice. Very smooth, even its aftertaste. Was pleasantly surprised. Tastes rich, but in a subtle way with a hint of nuttiness. May be my new favorite morning coffee. Loved the fruity finish and complexity. One of my favorites from the box thus far. Out of the four samples we received in our intro box, this was our favorite. Good flavor. We really wanted to love this one with a name like Mocha Java, but the mocha didn't really step forward for us on this one. Very good. Bold and good flavor. Both my wife and I liked this one. It was a good medium roast without too much bitterness. complex flavors with a lighter cup of coffee. very nice. This one is my favorite so far. I'm a cream and sugar girl but I don't need much of either with this blend. This was well balanced and easy to enjoy. No complaints, but I'm comparing these 4 coffees against each other and I preferred the La Colombe coffee to this one. This was too light for me. I prefer a more full-bodied flavor. The fruitiness at the end made it taste a bit watery since there wasn't anything rounding it out. I'm not sure if our bag had spoiled for some reason but this was terrible. I couldn't finish one cup it tasted so bad. This is a nice blend. A little spicy and not to bold. Not sure that it would be my go to morning coffee or not. I prefer a coffee that "smacks you in the face" usually for the morning. However for a nice afternoon pick me up or a treat after supper, this is the coffee. This coffee was good, for sure, but it wasn't our favorite. For me, it had too much a fruity finish. Good opening note. Full taste, hint of citrus to my palette. Could use a smokier aftertaste. Nice for an occasional cup, but this was my least favorite from the sampler. Too much spiciness for me. I am not generally fond of Indonesian coffees: I find them syrupy and that was the case here. rich taste, medium body and a nice complexity. we would drink this again. This was my second favorite coffee out of the sample box I received. It embodied nearly everything I've traditionally thought a coffee should be... however, it wasn't quite as aromatic as the La Colombe Corsica Blend.This is a coffee I believe I would drink any time of day, but I did not feel a "need" for a second cup immediately. This one is more like it. I'm reserving the option of giving this one five stars, but I haven't tried the others and I want to make sure I don't like one of the others better. I can drink this coffee without creamer in a pinch. Its smooth and has a wonderful aroma. Even brewed kind of strong (the way I like it. See-through coffee is for chumps) it wasn't excessively bitter or acidic. This is my favorite region blended with my least favorite region.The Indonesian overwhelms the Ethiopian and the fruit I've come to love and expect from an Ethiopian disappear behind the earthy flavor of the Indonesian.Overall a fairly good cup, but I wouldn't buy it again based on my preferences. Very enjoyable. Spices and dark fruit make for a complex cup. This was a copy that was absolutely amazing and would be a coffee that I would order on a daily basis. coffee was lighter than I prefer. Very very light. Only good for black coffee. I think when I made this I had the wrong bean to water ratio, and it turned out bitter. Usually I like mocha flavors. Lots of fruit taste as to be expected by an Ethiopian!! Very complex and great oils leading to always wanting another sip. A little to light for me. Not full enough in flavor. The coffee notes described were very accurate and I enjoyed drinking this coffee blend. I liked this one, it was my favorite of the three. It is just a little bit bitter. The flavor is different, but in a good way. Good blend, nice morning coffee. I take milk in my coffee on occasion, and this hit the spot. Smooth, rich tones of caramel and chocolate, delicious black. Excellent coffee, we loved it. This was a little too dark for our taste. Too much going on. Very dense. This didn't taste like much. It was inoffensive, but it didn't light up my day either. Chocolate/spice aroma. Medium body with a complex finish. Wood, cocoa, spice flavor notes. I enjoyed it. Roasted longer for my preferences for brew, but the roast was balanced and the blend was complimentary. I am partial to African coffees and the roastery's history of keeping women in the ranks, which helps too! A pleasant blend. All the coffees in my sample box were amazingly delicious. So, being 3rd out of 4 samples is not bad. I could drink this coffee all day! Very nice blend. Pronounced woody flavor with hints of chocolate in the aftertaste. Smooth, but thin, body. Not a fan of blends or bold coffee. Didn't like it. Kind of a plain jane flavor. Was very good. Would have liked a bit more sweetness out of it. This is a nice cup of coffee. Definitely can imagine Lorelai Gilmore demanding Luke for a second cup-kind of thing. It's warm and inviting. I like the balance of dark fruit and chocolate/woodsy notes, though the chocolate/woodsy notes definitely stand out more. Even though I enjoy lighter roasts and lean more towards coffees like Ethiopean, Kenyan, and Panama single origins, there's still place for a coffee like this from time to time. Not sure why I was sent this coffee as I requested only single origins and specifically called out cedar as a taste that I dislike. Roast is much darker than I prefer. Giving the rest of this one away. This was a really rich, complex coffee. My coffee craving was satisfied after just half a mug of this coffee. I liked the sweet aftertaste. Fantastic. Robust and complex yet still balanced. Strong clove, nutmeg, and bitter chocolate. Better than the La Colombe, but still too darkly roasted for our tastes. It tasted slightly burned, more like a standard Italian roast. Drinks darker and more robust than I expected. Indonesian flavors tend to dominate the African beans in this blend, giving the earthy, bittersweet chocolate note it's time to shine. This bag has complexity because of the dual blend but they join together rather than seeming individualized. Great cup for milk takers, too, as it's a warm and rewarding cup. I love a great coffee with a good kick to go with it and this....this did all that and some! Not my favorite coffee. Please don't send again. This coffee worked really well with French press, drip cone, and the espresso Brikka. This was what I had in mind in terms of an all-around coffee in that changing the brewing method only really brought out certain aspects of the blend than others while not really affecting the taste of the coffee itself. Really good mouthfeel and aftertaste lasted longer than expected. Had a strongish taste that wasn't unpleasant, but somehow just did not care for it. There was a little bit (acidic?) to it that I did not like. Made this coffee using a 15 to 1 ration in my chemex, let it bloom for 25 seconds, slowly poured inside out, and agitated/stirred after the last of the water. The resulting cup was well balanced with a smoky tobacco, dark cacao body and very little acidity on the finish. A very drinkable cup, not overly complex. This coffee was good, but it lacked tasty flavors that i enjoy in my cup. The aroma was very good however. This was the best coffee I've brewed in a long time! I love the flavor. It reminds me of one of my all time favorites - Kauai. Another bold, smooth cup with hints of cacao. Very pleasant way to start the day! This is very delicious hot and cold. It is strong but not stomach turning bitter. So far I have not brewed a full strength pot but am looking forward to doing so. (Update) I was able to get around to brewing a full strength pot of coffee and loved it. I am very pleased. Really like this but not as much as the one by Noble. Not their best blend. A little watery for our tastes. A little too rich for my liking, almost had a bitter after-taste. maybe it is the fruit or spice flavors that we don't appreciate in our coffee? Could that be possible from the others that we have not enjoyed? This blend surprised me a bit. While the beans were lighter in color, the brewed coffee was darker and more smoky than I expected. It smelled a bit like cigars, but the taste was smooth and almost like caramel. This was not my top pick, but I would enjoy this blend again. Great flavor. Dark Chocolate, Oak, smooth, low acidity.